A full cPanel backup includes all account files, databases, email accounts and settings. 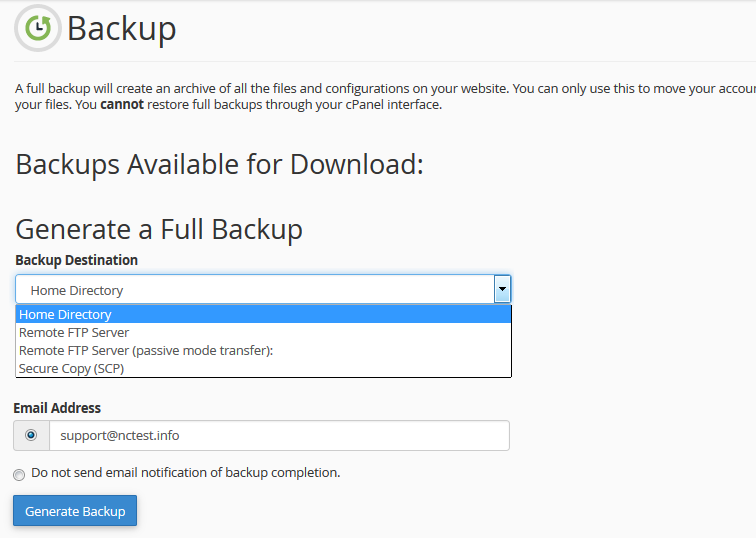 We recommend creating a full cPanel backup before any major data modification/migration. 3. 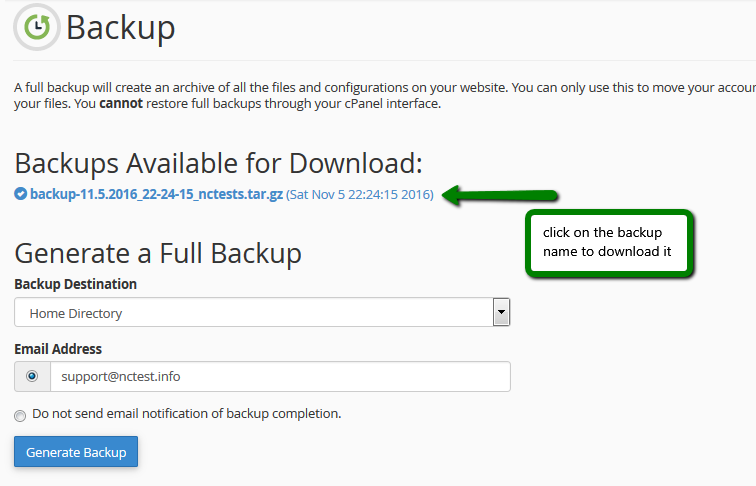 By default, a full cPanel backup will be saved into your account home directory. Go ahead and change Backup Destination if you would like to choose another target location for the backup. 5. Click on Go Back to monitor the status of the generation process real time. The green checkmark next to the backup name will indicate that the backup generation has been completed. Note that you cannot automatically restore full cPanel backups through your cPanel interface if you have a shared or reseller account with us. To have it restored, you will need to submit a ticket to our Hosting – Support department. If you have a VPS or Dedicated server with root access, you can restore the full cPanel backup yourself in WHM > Restore a Full Backup/cpmove File. NOTE: This will overwrite all the existing files, so before proceeding make sure there is nothing important left.